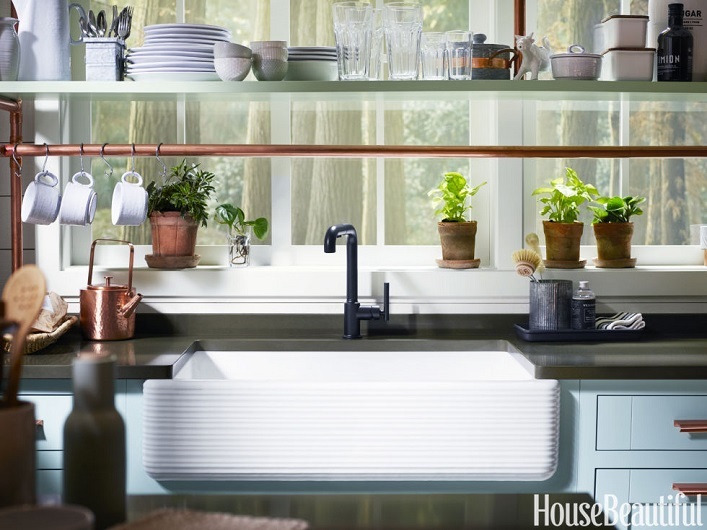 This delightful kitchen is designed by Austin designer, Kim Lewis. 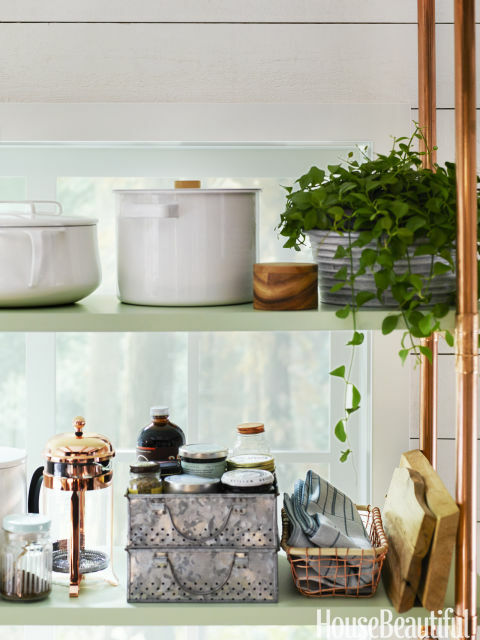 To make the most out of the 72 square feet kitchen, the designer came up with a brilliant copper-pipe shelving idea to maximize storage and keep the counter clutter free. 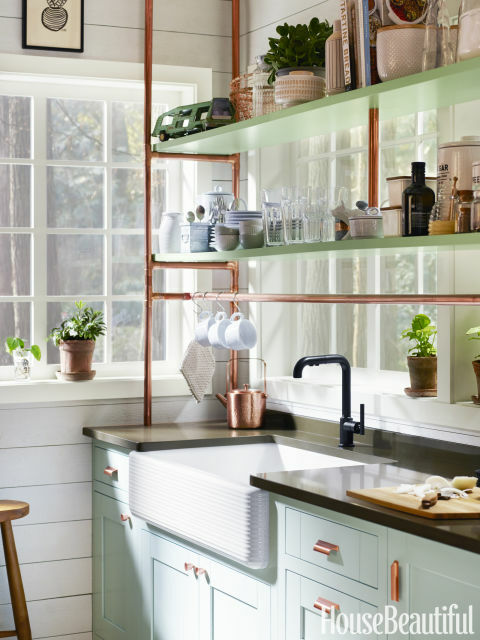 The beautiful color palette, wood and copper accents exude charm and warmth. The wood beam on the ceiling and shiplap walls are the cherry on the top. Such a fresh and fabulous kitchen, what's not to love? Your thoughts?